Are you thinking about learning Spanish but you are not 100% sure? One of the things you want to consider when deciding to learn a foreign language is: will this language be useful? In the case of Spanish this is definitely true. Keep reading and you will find out another 9 reasons to learn Spanish. 1º – Almost 500 million people worldwide speak Spanish (is the second most-widely spoken language as a mother tongue in the world, after Mandarin and before English). 2º – Spanish is the official language in 21 countries, with around 350 million native speakers. 3º – Spanish is the second most studied language, second language in international communication and the third most–used language on the Internet. 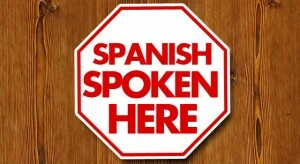 4º – Speaking Spanish will greatly increase your employment options with many of the world’s leading economies demanding Spanish speakers (in the U.S., employment opportunities continue to increase for those who are fluent in both Spanish and English due to ever-increasing population of Spanish-speaking people). 5º – Some research suggests that choosing to learn Spanish or another second language will reduce your chances of developing medical issues later in life that affect the brain. Those people who speak two languages are less likely to develop dementia and Alzheimer’s disease. 6º – 52 million people already speak it in the USA (Spanish is the second-most spoken language in the country and the dominant tongue of many communities as Mexico border, South Florida and Puerto Rico), which will have the largest Spanish-speaking population in the world by 2050, according to Humberto López Morales, the general secretary of the Association of Spanish Language Academies. 7º – Trends today show that Americans are studying Spanish in record numbers. Indeed, education in an international setting is becoming a top mandate for the American government because people need to compete economically. According to Businessweek, more students studying for an MBA in today’s world are choosing to become trilingual by learning English, French, and Spanish (two of the top ten MBA schools outside the U.S. are located in Spain). 8º – It will make you able to enjoy Spanish literature, music and film in their original forms and travel with greater ease & discover the cultural richness of the Spanish-speaking world. 9º – No need to learn foreign alphabets or extremely complicated hieroglyphics. Chinese requires learning tones, French is spelled funny, Arabic has a different alphabet, but in Spanish what you see is what you get. 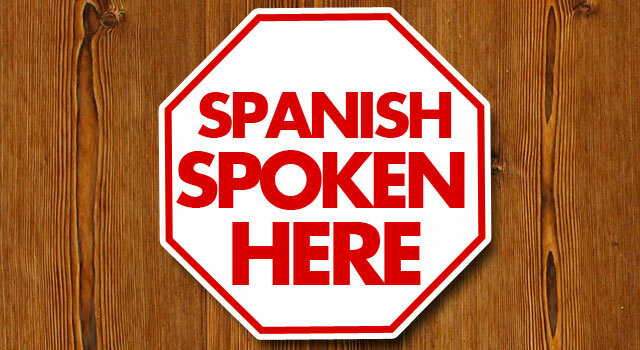 Spanish is spelled phonetically and many of the words are similar to English. 10º – Spanish sounds really cool!! Now that you know a few of the important facts about the relevance of learning the Spanish language, take a step further and start learning Spanish with us. It’s fun!